“I can’t believe the way it slices…” is what everyone has said after they’ve been out in my boat. The 615WR is an awesome all-rounder, whether it’s estuary fishing or offshore chasing pelagics. I’ve been out in some pretty average conditions and for a reasonably light boat it punches well above its weight and eats up the rough stuff… and they don’t broach like some other boats. 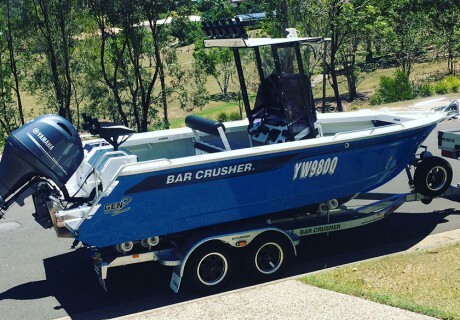 Quality fit out, exceptional build quality, seaworthiness and ease of launch and retrieve, I’ll be buying another Bar Crusher… 730HT next up!